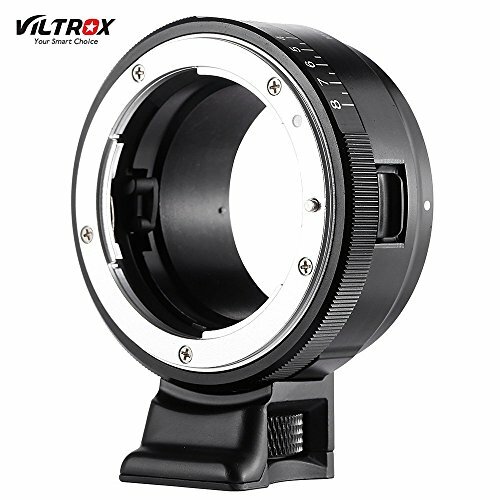 Widely used for Nikon G/F/AI/S/D type lens to Sony E mount camera. 8-stop exact aperture dial, excellent and smooth surface. CNC metal mount, easy to install and use. 1/4" screw hole at the bottom, easy to attach it to tripod. The mount plate is detachable, easy to used with telephoto lens. Widely used for Nikon F series lens(G/F/AI/S/D). Detachable tripod mount, 1/4in screw hole at the bottom.